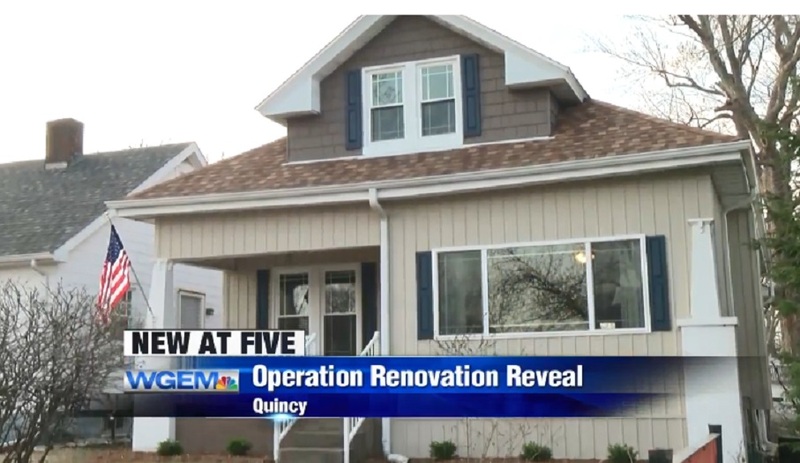 An Illinois community is giving back to a war veteran who gave to his country by awarding him with a much-deserved home renovation. Last week, Quincy-based home improvement company Doors-N-More held a “Military Edition” for its Operation Renovation, a charity competition that gives back to deserving members of the community. The most recent recipient was Larry Perrine, a Vietnam War veteran, and his wife, Bonnie Perrine, according to WGEM-TV. The couple has lived in their home for more than 50 years, and it was in much need of some sprucing up. A crew spent 48 hours replacing doors, windows, sidings, rebuilding their front porch and more, which cost around $10,000 in total. The couple beamed as their home, reconstructed with love, was revealed. Larry Perrine told the local station that he was “amazed” at how many people voted for him to receive the renovation and at the hard work volunteers put into reworking his abode. “It’s very humbling to think that people would come together and just volunteer their time to do it and not even be paid for it, and that they donated as much as they did as far as supplies and stuff were concerned,” she said. Doors-N-More’s next Operation Renovation will honor a retired first responder and his or her family in the area.